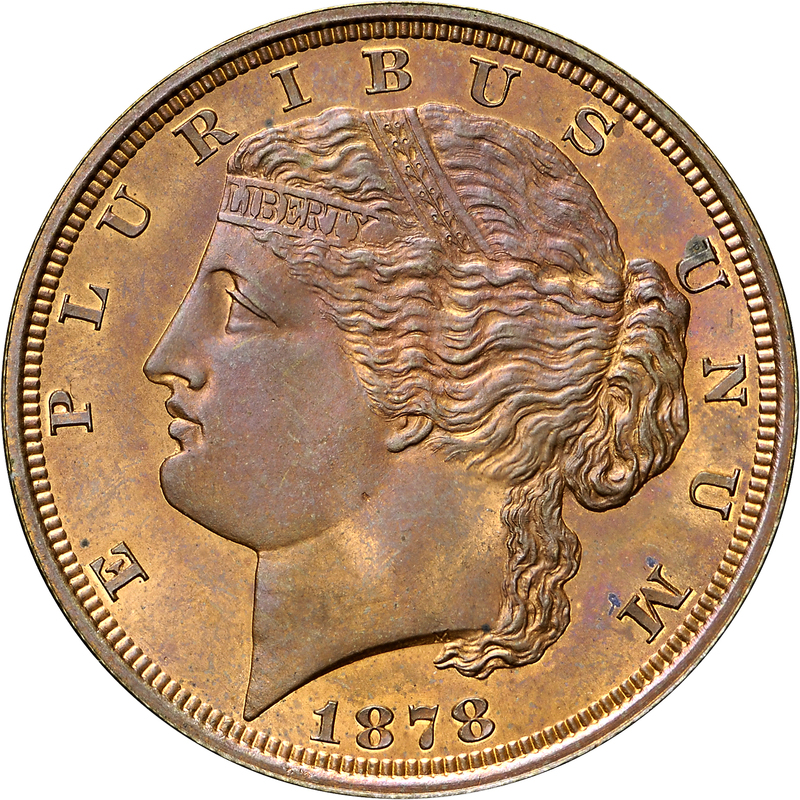 This pattern half eagle is typical of the several 1878-dated entries among pattern coinage of this denomination. 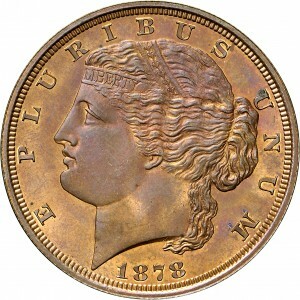 Nine different combinations or varieties have been identified, all struck in copper and several also in gold. 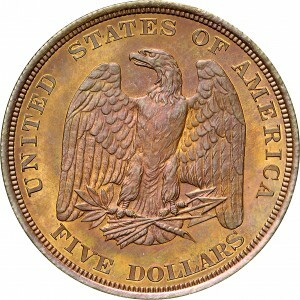 The patterns of this series are larger in diameter and thinner than regular issue half eagles in an attempt to combat a specific alteration common at the time. Unscrupulous individuals would hollow out the coin and replace the gold with platinum, which at the time was not considered a precious metal. Being denser than gold, this alteration would often go undetected. Purchased from Julian Leidman, September 16, 1971. 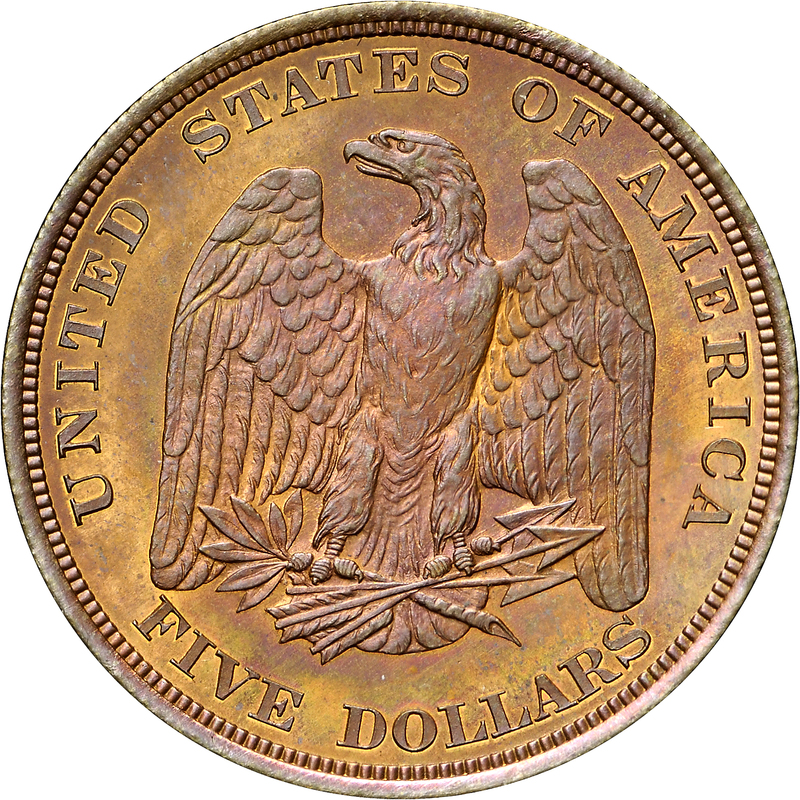 UNITED STATES OF AMERICA FIVE DOLLARS around a standing eagle, wings slightly spread, arrows in left talons, olive branch in right talons. "Half Eagle. No Periods or Motto."